Let me start off by admitting that I am a huge fan of the original 1976 THE TOWN THAT DREADED SUNDOWN. I'll also admit that I had never even heard of the movie -- or the real-life case, for the matter -- until it was referenced in the 1996 film SCREAM. I can remember rushing to my nearest Blockbuster Video and tracking down a VHS copy of the film. I took it home and rest is history. Flash forward to 2013. 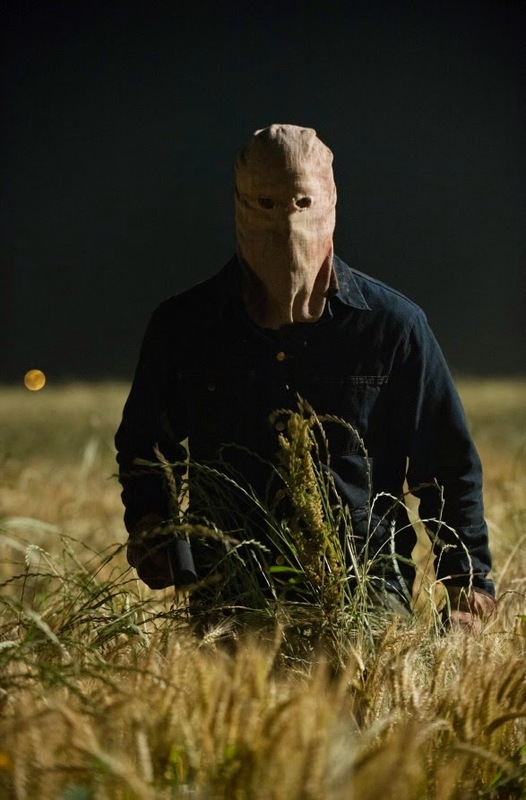 I caught wind of a remake of THE TOWN THAT DREADED SUNDOWN was in the works from the people associated with TV's AMERICAN HORROR STORY and GLEE. Despite that, I was excited. Plenty of time passed and I heard nothing on the film. And then a couple months ago the first images and trailer was released. And my interest was immediately spiked. After viewing the trailer, I realized that this was not a remake. In fact, it was a sequel...of sorts. It acknowledged that the first film is a movie, and a copycat killer is on the loose, reminding the town of Texarkana what happened in 1946. And now, in October 2014, I have finally seen the film that I've been dying to see. It exceeded my expectations in every imaginable way. The killer was menacing, the victims true-to-life. It's like it was all happening all over again. I loved it. The killer even copies some of the killings from the movie (cue the trombone scene!). A lot of the same filming locations are used as well. Big bonus. The lead girl, Jami, played by Addison Timlin, is a terrific final girl. She puts the pieces together to help solve the murders. Also, Anthony Anderson turns in a great performance as Lone Wolf Morales. Loved it. A lot of flashbacks are shown using footage from the '76 film. And I loved that, too. If there's one thing I could change about this movie, it'd be the ending. I'd leave it open. I mean, it sort of does, but I'd make it a little more obvious. No imagination stuff. This film was a big gift to the fans. And for that, I am grateful. Highly recommended for any genre fan. Or for just a scary night-in.